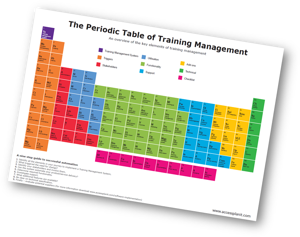 Our periodic table of training management serves as a visual overview of the key elements to consider when looking to improve your training operations. This includes the learning delivery methods you should offer, the key stakeholders you need to involve and technical tools you can use to help you along the way. Download your free training management cheat-sheet now.